We are delighted to have been awarded the Investors in People (IiP) Health & Wellbeing Award. 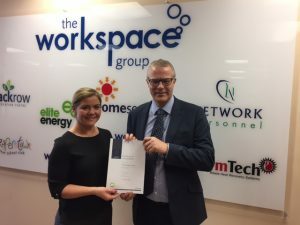 Having been an Investors in People accredited organisation for the past 16 years this is a new standard in the IiP Framework where physical wellbeing, psychological wellbeing and social wellbeing are at the heart of the award. Team days which offer health related workshops such as Pilates, health eating etc.